Do not test Apogeum Hedging in the Strategy Tester! 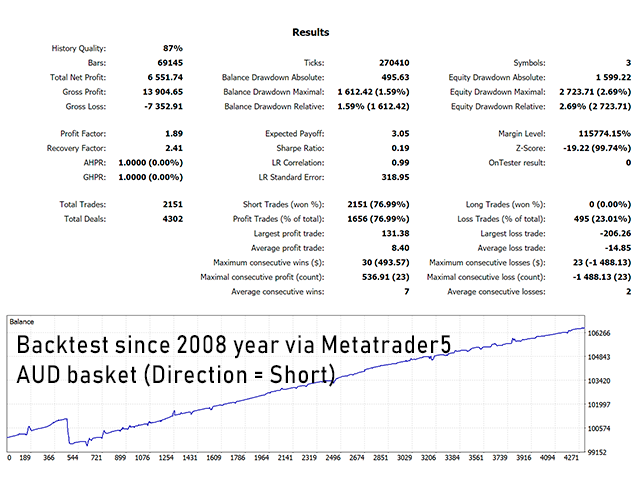 Metatrader4 Strategy Tester does not support multicurrency trading! Apogeum Hedging opens trades for several currency pairs simultaneously! 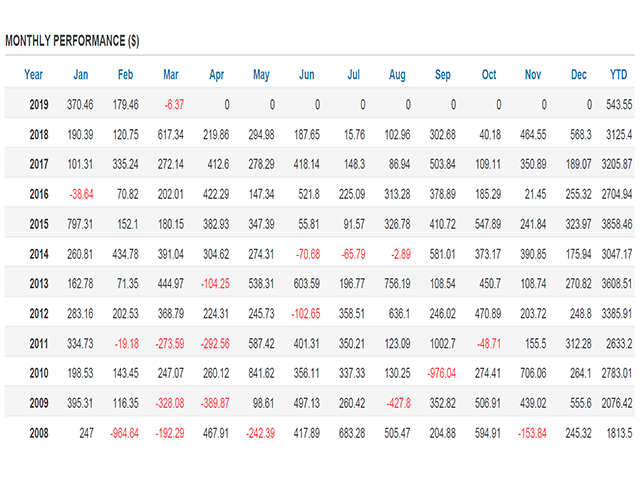 Apogeum Hedging is a fully automated, multi-currency Hedging type system. 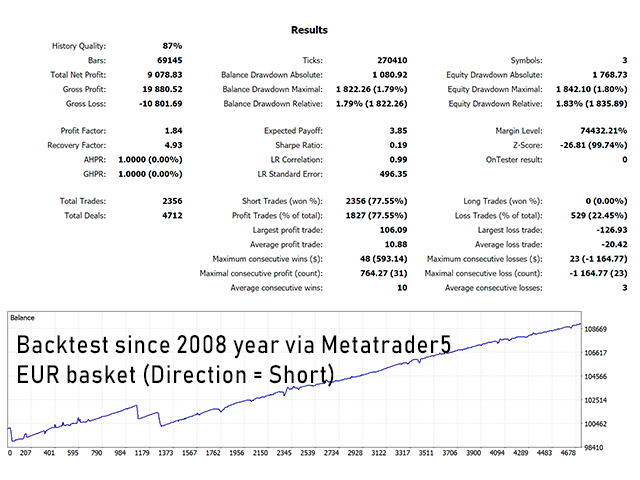 The system is based on the principles of Price Action, which are a signal for opening trades. 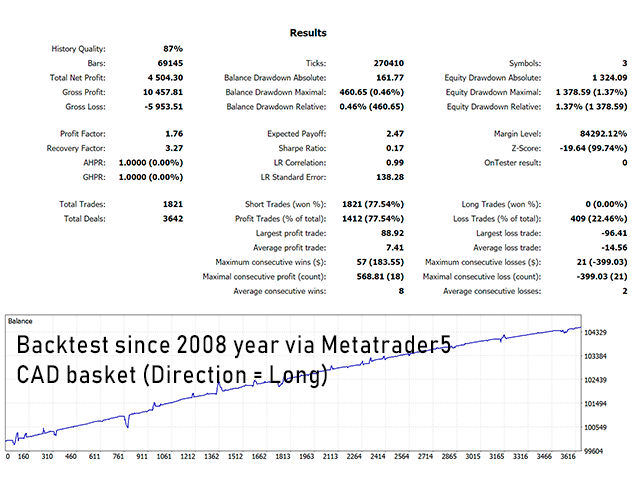 Apogeum Hedging conducts multi-currency trading, opening a basket of deals along a trend for several currency pairs simultaneously (if there is a signal for each pair), and closing of deals occurs according to the total profit of the basket when the total average profit of transactions reaches the specified value. Usually a basket consists of 3 currency pairs. IMPORTANT! Apogeum Hedging is designed to work on the H1 timeframe. The system can be installed on a chart of any currency pair - trading will be conducted only for those pairs that are specified in the settings! 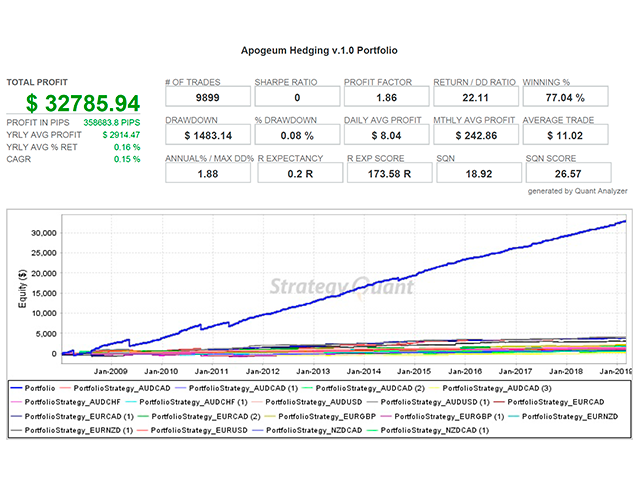 Apogeum Hedging has a built-in protection system for the trading capital of a trader by closing deals when the total loss of the basket reaches the Max Drawdown level. According to the results obtained when testing Apogeum Hedging, the maximum drawdown level since 2008, when using the standard lot of 0.01, is $1000, and the size of the equity drawdown is $1500. For correct operation of the system, it is recommended to use a minimum account size of $3000. For large accounts it is recommended to use the lot step: 0.01 lot for $7500 - $10000. 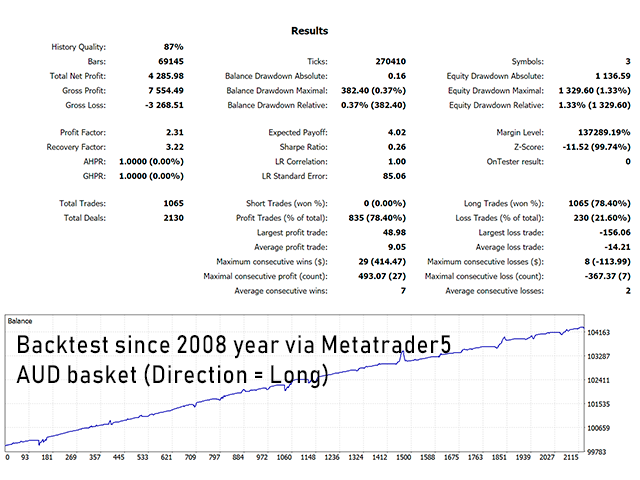 Apogeum Hedging is a risky trading system with a large number of open trades with total losses, which are closed only when the profit in the basket is reached. So good, so far! Very interesting system! It is very difficult to judge the system for the week of use, but the results at the moment speak for themselves. Apogeum Hedging has already paid for the cost of its purchase. This is confirmed by the monitoring of Ivan. In a market where no other system is working, a non-standard approach is needed. Apogeum Hedging is such a system with a non-standard approach. As always, 5 stars for the product of Ivan! I use many of his systems. Some of them stopped, because there is nothing eternal. But I am sure that Apogeum Hedging is a system that will show the same results in the future.